What I have discovered is that sometimes when you venture off of the well trodden path you can discover something or someplace extraordinary, and more often than not that is exactly what happens. 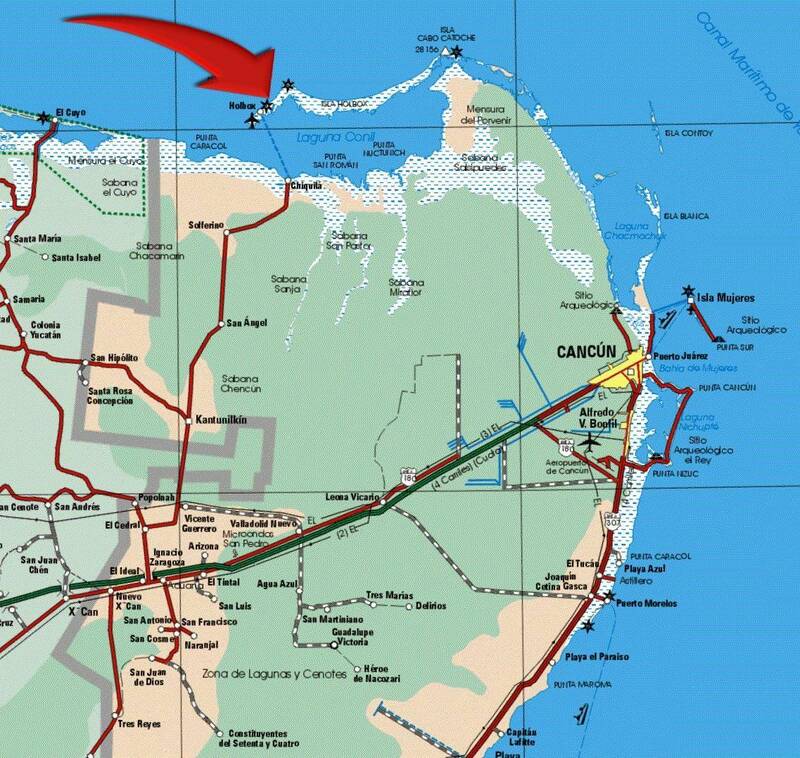 In this case the well trodden path is the Cancun International airport and the someplace extraordinary is Isla Holbox pronounced hol-bosh, a small island located on the North Coast of the Yucatan Peninsula in Mexico. Thousands of people fly in and out of the Cancun airport each year staying at any one of the numerous all inclusive resorts lining the coast between Cancun and Tulum all offering pleasant but monotonously similar experiences and cuisine. Every now and then you even come across a traveller who is being a tad more “adventurous” and staying on Isla Mujeres, but rarely do you meet someone flying to Cancun in order to visit the beautiful Isla Holbox. 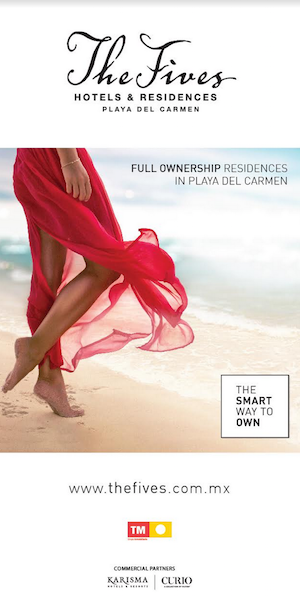 This is even more surprising because of how easy it is to access and although it is certainly growing in popularity among people looking for an authentic relaxing and romantic ocean oasis destination, it is worlds away from the action packed beaches and nightclubs in Cancun. 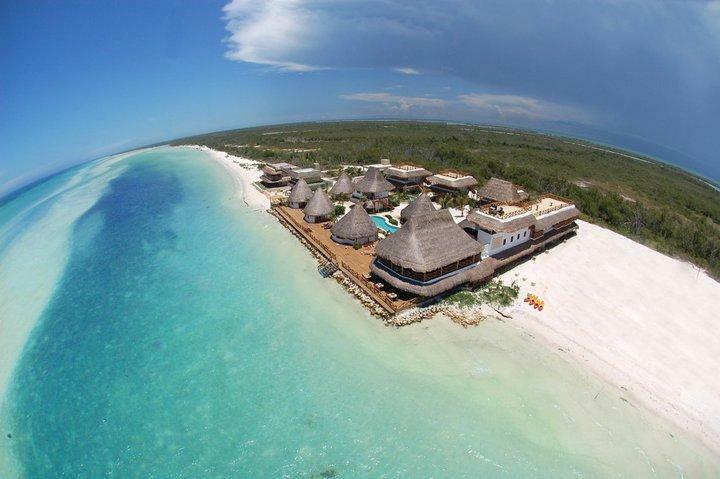 You will not find sprawling hotel properties with endless lists of activities and entertainment but instead Isla Holbox will offer up a peaceful environment with ample time and space to truly relax and rejuvenate yourself. After a few minutes of strolling through the sandy streets of the small centre, thoughts of your busy and hectic life back home will melt away and you will be more then ready to embrace your time away from the modern world. With a lack of cars or pavement altogether the sandy streets are navigated by golf cart. Taxi golf carts or rental golf carts are the means of transportation and you can easily rent your cart when you arrive on the island. The small town consists of an array of colourful Caribbean inspired bars and restaurants serving up traditional Mexican fare and fresh local seafood and plenty of places to sit and enjoy a fresh lobster pizza and ice cold cerveza. Common activities on the island include laid back simple pleasures like strolling the sandy beaches or swinging in a hammock with your loved one beside you. If you are a fishing enthusiast you will be more then satisfied and you can also try your hand at kayaking or paddle boarding. Although the real claim to fame here is the whale shark season which is the most common reason that travellers tend to discover this little slice of paradise. The annual migration of the whale shark is an event that happens every summer in the Gulf of Mexico and it attracts marine life enthusiasts from around the globe. 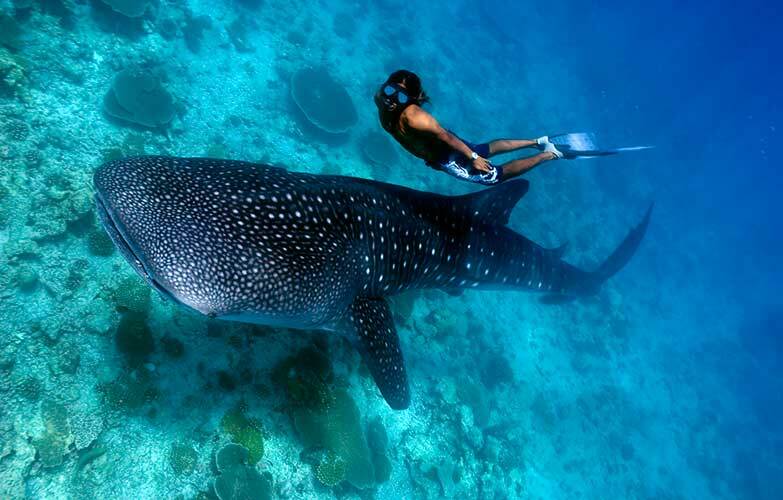 The whale sharks come to Isla Holbox between May to November of every year to spend their summer breeding in the warm, plankton-rich waters. The whale shark is the worlds biggest fish and despite it’s size they pose no danger to humans and are considered to be very docile. You can book an excursion through any of the operators on the island and they will take you by boat to where the whale sharks are feeding on plankton. You will then spend the day floating beside them in the water feeling their powerful slender bodies slicing through the water next to you. When you are done, the excursion will take you back to your hotel where you can reflect on a truly amazing and unforgettable day over a fresh plate of local ceviche. If you don’t know what ceviche is I highly recommend you find out. Despite the simple and unassuming town centre the island is still able to provide a luxurious pampering experience if you choose your hotel wisely. 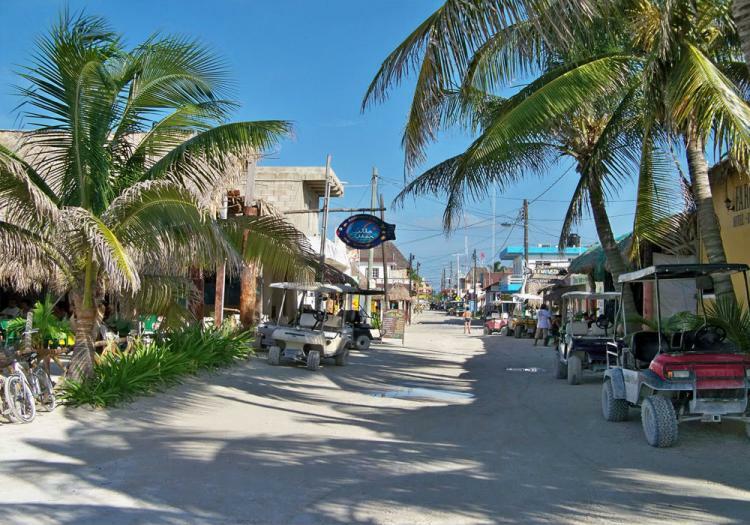 The hotels on Isla Holbox are all small boutique style hotels but are varying in quality and price. There are many beautiful hidden gems offering well appointed suites and beach bungalows with full service spas and restaurants. Small gardens with designated areas for yoga and relaxation and unique and handcrafted lobby and social areas. The hotels cater to a variety of travellers and tastes so enlist the help of a travel professional or do some sleuthing online to find the perfect match for you. Isla Holbox is one of those fragile, precious places, a little gem that takes you back to the days of no cars, beach roads and beautiful sunsets. It conjures up memories of swaying hammocks, pink flamingos and Caribbean colours. 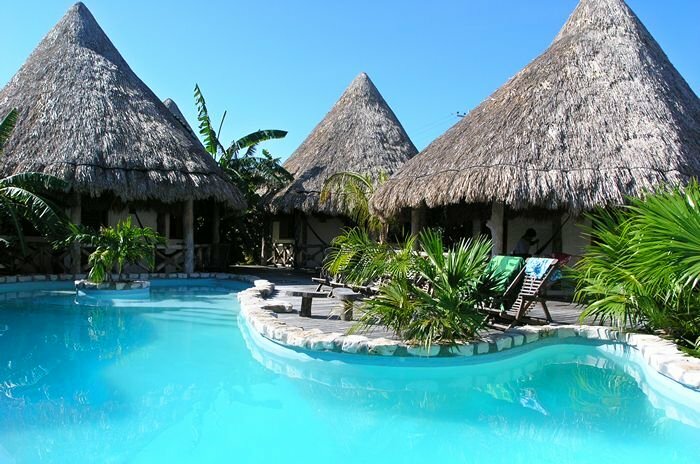 People looking for an exciting nightlife, large shopping centres and chain restaurants should continue looking but if quiet and romantic relaxation is what you need, Isla Holbox will deliver.